Every year I receive at least a half dozen books as Christmas gifts from members of my family. 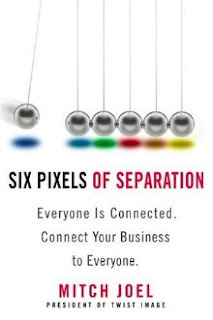 Of this year's titles one that really caught my eye was "Six Pixels of Separation" by Mitch Joel. The premise of Joel's book is that in today's digital world everyone is connected to everyone else through websites, blogs, social networks etc. This means that there are now a variety of digital channels and free publishing tools available online to promote yourself, your personal brand and your small business. The jacket summary of this book really caught my attention because in many ways I have already been living out this reality with my own business. I first began using the Internet back in the mid 1990s when access involved AOL accounts and dial-up connections that got terminated with every incoming telephone call. In digital terms those days were the proverbial Stone Age. At that stage I had very low expectations of what a website could offer as a sales and marketing tool. At best I figured it would be a helpful to demonstrate credibility, besides showing product images along with specifications and background information on the company. "Real" sales, I believed, could only happen through "mortar and brick" showrooms that were dedicated to selling my work to discriminating consumers via interior designers and architects. By late 2000 (exactly 10 years ago today) we were busier than we'd ever been. Most of our sales were high quality custom furniture pieces sold through to-the-trade showrooms located in major urban centers across the United States. For all intents and purposes the Internet had zero bearing on any sales we made that year. But even then the paradigm was rapidly changing. For one thing the recent collapse of the dot com bubble was already starting to manifest as a decline in new orders. This situation would be exacerbated later in the following year with the fallout from the 9/11 attacks. Cheap imports from offshore were also starting to flood the market, and although we didn't compete directly with this product it was having a domino effect by pushing the lower end guys into the middle of the market which, in turn, compelled the middle end guys to target the higher end. By 2006 the overall sales to my traditional customer base had diminished radically. In a discussion with Monroe Sherman of Carriage House, one of my oldest clients, I was told that I needed to shift my thinking if I wanted to stay in business. At the time we were making private label OEM pieces for Monroe's Sherman-Designs collection, and he pointed out that because of globalization I was now competing with cheaper vendors from South America and South-East Asia. In effect, I was told that if I wanted to compete I'd have to effectively slash prices even if it meant lowering my quality standards by moving work offshore. This was not something I was prepared to do. 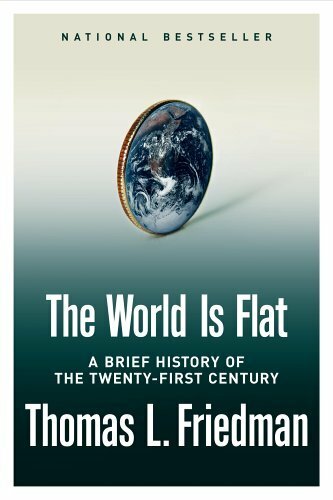 It was at this point Monroe suggested I read the book "The World is Flat" by Thomas Friedman. 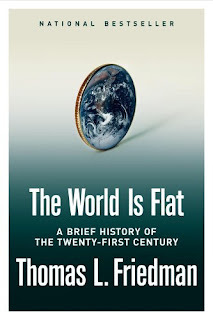 The premise of Friedman's book is that because of globalization and computerization supply chains have gotten shorter, with the result being that the world is now smaller and more competitive than ever before. My reply was "Yes, I've read the book. Have you?" Perplexed, Monroe said "Of course I've read it. Why do you ask?" I pointed out that he was only interpreting Friedman's book from his own vantage point, namely that in this new era of globalization and digital communication that he alone would be the beneficiary of using digital tools such as the Internet to find newer and better opportunities. To illustrate my point I told him "As flat as you see the world from your side of the planet, it's just as flat going the other way. Yes, you'll be able to find cheaper sources of supply thanks to this new paradigm, but the rest of the world won't be sitting still as you do so. Your customers will be looking for better opportunities and better quality too, as will your current and previous vendors. The world is changing and getting smaller for everyone, not just you." In hindsight this contention appears to be playing itself out. Where in 2000 I could attribute 0% of my sales directly to activity on the Internet, in 2010 more than 50% of my business has been generated as a result of this digital realm. Thanks to Google, websites and blogs I am finding ever more people using the Internet to find exactly what they want in the way of high quality custom furniture. As far as I'm concerned Mitch Joel is spot on with what he contends in "Six Pixels of Separation", and one of my New Year's resolutions will be to implement suggestions from his book to make 2011 even better. Many thanks for the kind review and nice words about the book - this is EXACTLY why I wrote it! Thanks Mitch. The fact that you, the author, are commenting here is also a testament to what you assert in your book - namely that "everyone is connected". Happy New Year to you too !